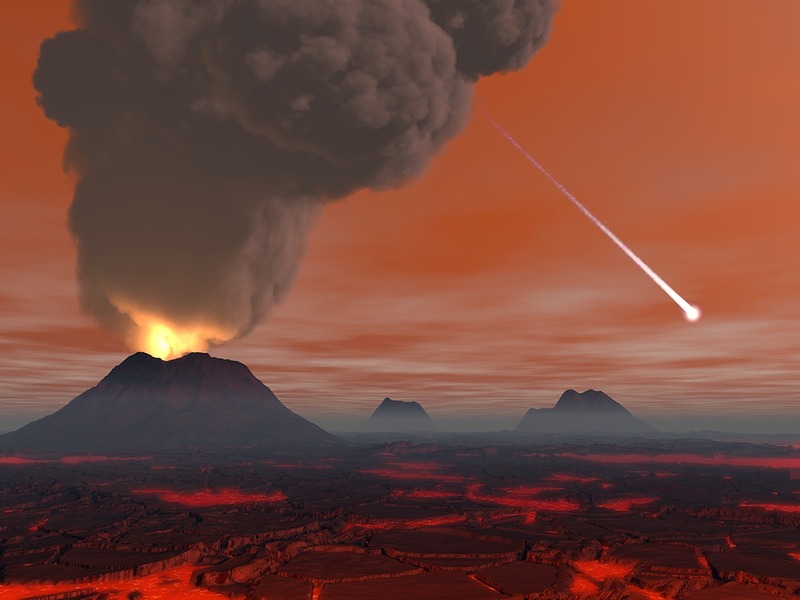 Although the magma ocean radiated heat into space, the cooling from the lower levels of the Earth began only after the convection currents in the mantle started. The currents started, and the potential energy released during core formation turned into heat, heating the inner parts of the Earth to 2000 K. The heated material began to rise towards the surface, where it cooled down and sank back down. A similar effect can be seen in lava-lamps and in boiling water. Once the cooling had continued for long enough, the temperature at the surface was low enough for rock to solidify. The first parts of the crust were composed of basalt, which contains iron and magnesium, and they melted and re-solidified many times before the current crust of the Earth was formed. Differentiation and convection caused the Earth to cool and release gases, which formed the atmosphere. The gases had similar composition as gases that are currently being released from volcanoes. These are, for example, carbon dioxide and carbon monoxide. Due to a strong greenhouse-effect, the surface temperature of the Earth was over 200 degrees celsius. At high air pressure water vapour started to condensate, rain and form an ocean. Earth was covered wit 2-3 km thick ocean. Active volcanoes formed first islands. The oldest indications for the formation of the primitive Earth crust have been obtained by studying the oldest zircon crystals. Zircons are minerals that contain radioactive isotopes. The half-lives of these isotopes are known, and thus, the age of these crystals can be counted by determining the remaining amount of these substances within the crystals. 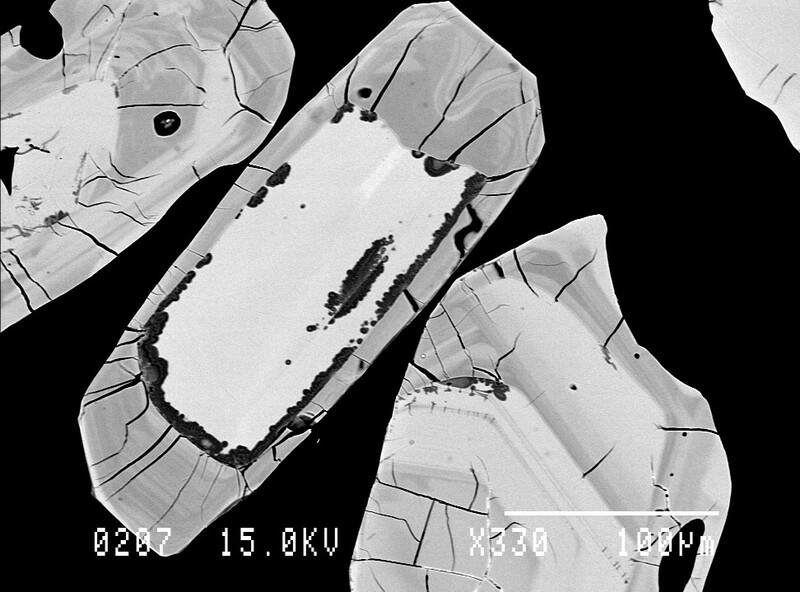 Using this method, the oldest zircons found in Jack Hills, Australia, have been dated to be 4,4 billion years old. This means, that there must have been some solid crust on the Earth, at about hundred million years after the impact of Theia. The formation of the Zircons also suggest that there was liquid water present on the Earth at that time.